There are countless canister stoves for the aspiring explorer to keep their belly full, but few have proven as popular as the PocketRocket 2 from MSR. In this review, we’re going to be examining everything the MSR PocketRocket 2 has to offer and why you should consider adding it to your rucksack ahead of your next adventure. The MSR PocketRocket 2 was first made available online in June of 2018 and boasts a number of features that were absent on the brand’s initial PocketRocket. But as well as improving on the shortcomings of the original PocketRocket, the MSR PocketRocket 2 retains many of the features that made its predecessor so popular with casual campers and avid outdoors people alike. 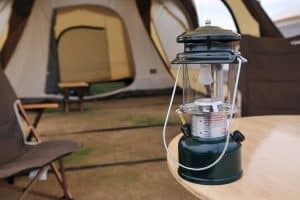 If you are planning a couple of days in the wilderness as opposed to a simple overnight camping trip, you should be sure to bring along a canister stove. With the MSR PocketRocket 2 in your arsenal, you won’t have to resign yourself to cold food for the duration of your trip, which is particularly advantageous if you are a cold weather camper and need to keep your body temperature up. This is a lightweight canister stove, so you should also consider it if you are preparing for a backpacking holiday. It is important to note that the slight size of the MSR PocketRocket 2 means it is impossible to prepare more than one dish at a time. If you are camping with a number of people, you may struggle to keep everybody fed with this canister stove. Furthermore, MSR generally asks for in or around $50 for the PocketRocket 2, which makes it significantly more expensive than some other canister stoves on the market. If you are hoping to keep costs down ahead of your next adventure, you should forgo this canister stove and choose a more affordable model. Purchase this canister stove and you can expect to receive a hard-shell carry case in which you can house the PocketRocket 2 while journeying to your destination. This is certainly a convenient accessory, but given the fact this canister stove sells for more than double the price of some impressive alternatives, it could be argued that MSR should be including more add-ons. The MSR PocketRocket 2 is a lightweight canister stove and comes in at just 73 grams, so it won’t weigh you down if stored in your backpack along with your other possessions. Despite its lightweight design, it is capable of boiling a liter of water in only a little over 3 minutes and uses MSR’s unique WindClip windshield for maximum fuel efficiency. 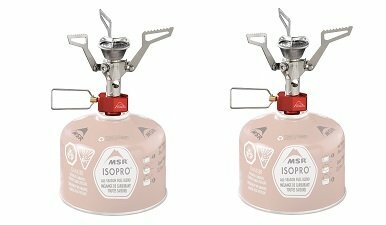 The MSR PocketRocket 2 is one of the most straightforward canister stoves on the market and can be easily attached to your fuel supply with no need for priming, preheating or pressuring. While the MSR PocketRocket 2 is certainly easy to use, you should familiarize yourself with the workings of the typical canister stove before venturing into the wilderness with it. You can do that by watching the tutorial below. In it, you will be guided through the process of setting up a canister stove and given some handy tips to help you make the most of your chosen model. If you are a cash-conscious camper preparing for your next trip and don’t want to spend a lot of money on camping equipment, we suggest taking a look at the 3000T canister stove from BRS. 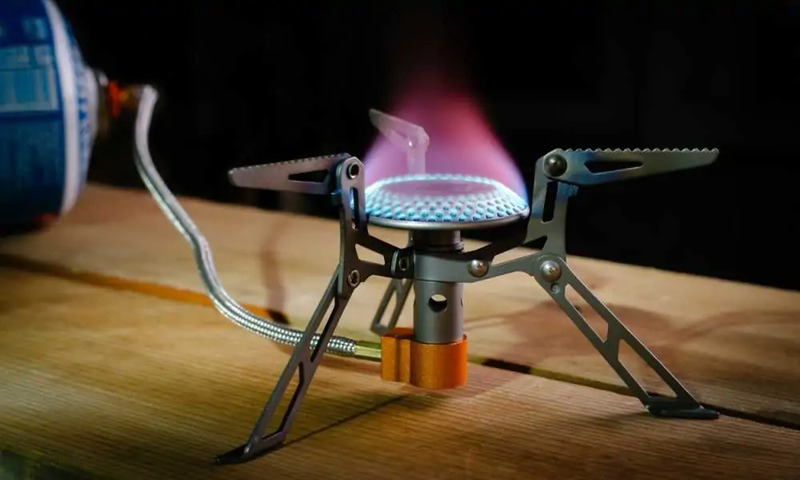 Weighing in at just 25 grams, the BRS 3000T is often described as being the lightest canister stove ever produced, so backpackers and those with long hikes to their campsite should consider it over its MSR alternative. It can heat 1 liter of water in just under 3 minutes and its 3 titanium legs ensure even weight distribution for all pots and pans placed on it. Selling for less than $20, the BRS 3000T will set you back notably less than the MSR PocketRocket 2 but will give you a similar, if not equal, performance. The MSR PocketRocket 2 will set you back quite a bit more than some alternative canister stoves, but many experienced outdoor enthusiasts will tell you that it is worth every penny. While that will ultimately come down to a matter of opinion, it is difficult to deny that the ease with which the MSR Pocket Rocket can be installed gives it a major advantage over competing models. Similarly, its integrated WindClip windshield increases fuel mileage, which will save you money in the long run. Add both of these pros to the product’s lightweight design, unwavering stability, and fast boiling time and it becomes clear that the MSR PocketRocket 2 is a spectacular, if a little pricey, canister stove.